At Mercury Carpet, you will discover one of the largest floor covering showrooms in Jacksonville with over 10,000 square feet. Our Design Center offers floors of every floor covering imaginable. It is truly a designer's floor covering dream come true. We continue to challenge ourselves by looking for the latest most fashion forward products available. "Service is everything." says Dan Tristan. "It's what we've built our business on. At Mercury Carpet, we are committed to providing a truly exceptional customer experience, letting every person know we value his or her business. From the moment they walk in our door, we do everything possible to ensure our customer's satisfaction. It's important to us that they know we truly care about their business." We will be pleased to come to your home and measure for a free estimate and consultation for all your flooring needs, including carpet, hardwood, tile, stone, laminate, vinyl, resilient and area rugs.  We feature and install the brand names you know and trust, including, Stainmaster, Mohawk, Shaw, Beaulieu, DuChateau, Naturally Aged Flooring, Mirage, Anderson, Armstrong, Royalty, Mannington, Dixie Home, Kane, Stanton, Kraus, Bella Cera, Hunter Douglas, Natural Cork, Tarkett, and many more. 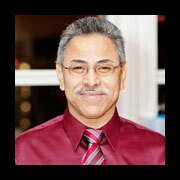 John Namen, Vice President of Mercury Carpet & Flooring has been a part of the store practically since birth. His parents started the business in 1970, and he grew up with flooring in his blood. John graduated from Bishop Kenny High School and went on to receive a finance degree from Auburn University. After graduation he returned home to run the company. He has been doing so ever since. When he’s not at Mercury, he spends time with his family, his wife Jeanette and two daughters, Elliana and Juliana. He also enjoys a round of golf when he gets a chance. 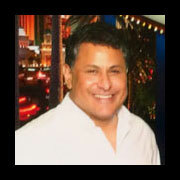 Dan Tristan began his career in the flooring industry in 1982 in San Antonio, Texas. In 1988 he joined Mercury Carpet as a salesman. In 2001, Dan became a full-time business partner with John Namen. When he’s not on his motorcycle, he spends his extra time with his daughter Geneva, son-in-law Kyle and three grandchildren. George Tristan joined the sales team in 2002. 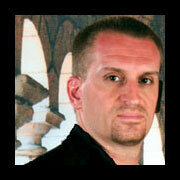 He got his start in the flooring industry as an installer in San Antonio, Texas. He traded in his tool belt to open his own flooring company in Texas that he ran for 18 years. He then moved to Florida in 2002 and has been a valuable part of the team ever since. He enjoys Latin dancing in his spare time. 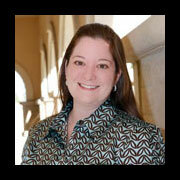 Cristal Devenburg joined us in 2005 as a part of the sales team. She currently manages the office and helps clients with product selections. Cristal enjoys yoga, gardening and spending time with her family. 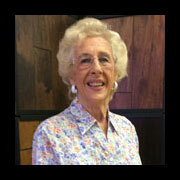 Pam Mattox is the after sale coordinator and is also one of the friendly voices that answers the phone. 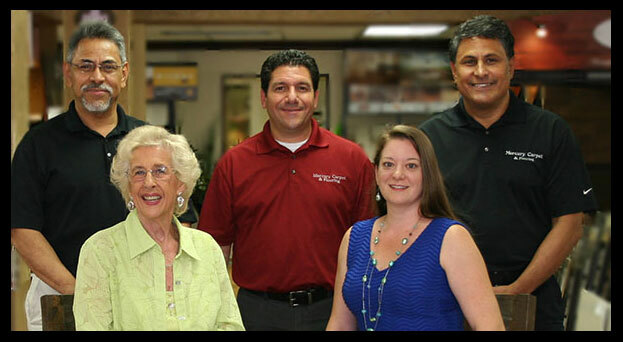 Pam is a long time friend of the Namen family and has been working for Mercury Carpet & Flooring since the doors opened in 1970. When she is not here at the store she loves to work in her garden. James Hooper became a Professional Flooring Mechanic 21 years ago. He has spent 13 years of his career with Mercury Carpet & Flooring. He enjoys riding ATV's and camping with his wife Stephanie and three boys in the RV. Can't visit our showroom? Let us visit you with our Home Shopping service. You can rely on Mercury Carpet for fast, friendly and professional installation service. 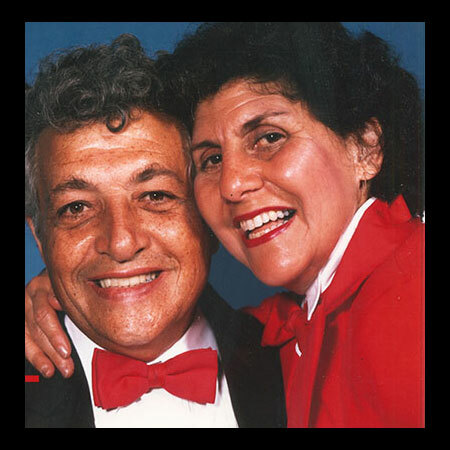 In 1959 Mr. & Mrs. Joseph Namen married and settled in Jacksonville, Florida. Their first business venture began with the purchase of Washland cleaners on Hendricks Ave. They expanded to five locations both Dry Cleaning and coin laundry. Being involved in the cleaning of fine draperies led the Namen’s to expand the business into designing and manufacturing custom draperies, this eventually led them into the flooring industry. In 1970 Mercury Carpet & Flooring opened its doors in a converted gas station, located on St Augustine Road. The bay areas were loaded with rolls of carpet and the showroom was a 10'x10' area where the attendant used to sell oil and coolant. In just one year’s time the business grew, as did the need for a larger facility. In 1971, they purchased the current location at 5911 Beach Blvd. 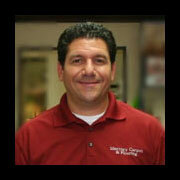 Dan Tristan joined Mercury Carpet & Flooring in 1988.  In 1989 and fresh out of college and armed with a business degree from Auburn University, John Namen, Joseph and Vicki’s youngest child, joined the family business, giving his parents a well-deserved break. John grew up in the carpet warehouse so it was only natural for him to now run the company. In 2001 Dan Tristan and John Namen formed a business partnership. In January of 2002, George Tristan, a flooring professional with over 36 years of experience, joined Mercury Carpet & Flooring, and is currently a valued member of their staff. In 2005 the need for additional office and sales assistance was needed and Cristal Devenburg became a part of the Mercury Carpet family. Through the years the showroom and warehouse has expanded and now showcases over 10,000 sq ft of flooring, including Carpet, Hardwood Floors, Laminate, Marble, Granite, Sheet Vinyl, Solid Vinyl Tiles, Porcelain Tiles, Cork, Bamboo, Travertine and Stone.